Who wants a chance to win a KitchenAid Mixer? I do, I do! I'm guessing you do, too...so enter to win NOW! 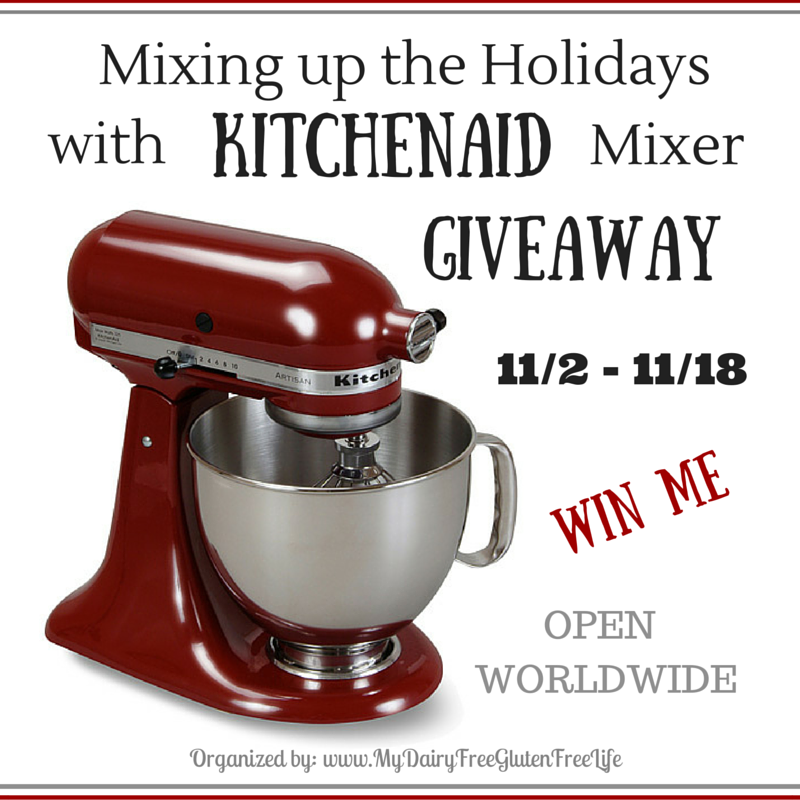 Just in time for all your holiday baking and cooking, the Full Belly Sisters have joined a great group of bloggers to bring you this "Mixing up the Holidays with KitchenAid Mixer Giveaway!" This KitchenAid Giveaway is a Blogger-Sponsored Event, which means the bloggers—who you will find on the Rafflecopter for entry options—have donated money to help pay for this 5-qt Kitchenaid Artisan Stand Mixer. One lucky reader will soon be mixing up all kinds of gourmet goodies with this Kitchenaid 5-qt Artisan Stand Mixer, from healthy holiday meals for the family to decadent and delicious desserts. Although the prize photo shows a holiday gloss cinnamon color, the winner will have a large selection of colors to choose from! This giveaway closes November 18, 2015 at 11:59 PM Eastern Standard Time. The prize will be available to US only. If the winner is from outside of the US they will be paid the cash value of the prize ($350) via PayPal. So, tell us in the comments section below: what is the first thing you'll make if you win this fantastic mixer? Disclaimer: Full Belly Sisters did not receive compensation for the published material in this post. No purchase required to enter this giveaway. Void where prohibited. Odds of winning are determined by the number of valid entries received. Entries will be verified. Winner will be chosen by Random.org and will be emailed via the email address used to enter the contest. A new winner(s) will be chosen if original winner(s) has not responded within 48 hours of email notification. My Dairy-Free Gluten-Free Life is responsible for product shipment. This giveaway is not administered, sponsored, endorsed by, or associated with Facebook, Twitter, Google, Pinterest or other social media outlet. Disclaimer is posted in accordance with the Federal Trade Commission 10 CFR, Part 255 Guides Concerning the Use of Endorsements and Testimonials in Advertising. My kitchenaid mixer died last year and I have been SO sad. I haven't made bread or rolls or much of anything since. The first thing I'd make is a batch of cinnamon rolls! ooh, those things are SO GOOD. I wouldn't leave the kitchen! I know!! I only have a little, hand-held mixer which does the trick, but...this would be much cooler. My daughter's favorite butter sugar cookies and icing. I'd make the dough for my grandmother's homemade pierogi recipe...its been a tradition since I was little and now I have my kids in on it too...and only the kitchen aid mixes the dough the right way!! Ooh, if you have any leftovers, I'll take 'em! The first thing I'd make are the sugar cookies my family always makes & decorates for the holidays (but usually with pre-made dough). I'd love to start baking from scratch for them! This is awesome! Thanks for hosting. I would love to use my new Kitchen Aid to make bread dough. 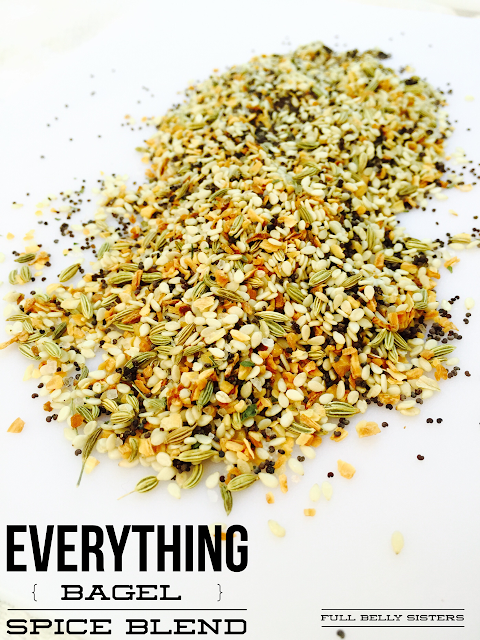 I love baking homemade bread and using the paddle or dough hook attachment will do all of the kneading for me! I actually love kneading bread dough...but, yeah, i don't want to *always* have to do it! Big old batch of cookies! Just in time for pumpkin cheesecake at Thanksgiving! Girl, you are speaking my language! my husbands favorite pb cookies that make 100 cookies and need a mixer. Right now I would have to say, some type of Christmas candy! If I won, I'd get all set to bake Christmas cookies! I make my husband homemade Pizza everyday for lunch. I would totally be making the dough. I've always wanted a kitchen aid! That cauliflower steak looks so good covered in cheese and with some spaghetti sauce! I've never heard of a cauliflower steak, but now I want to try it out! Yum! If I won, I'd probably try shredding chicken with it...I've seen posts on that before!